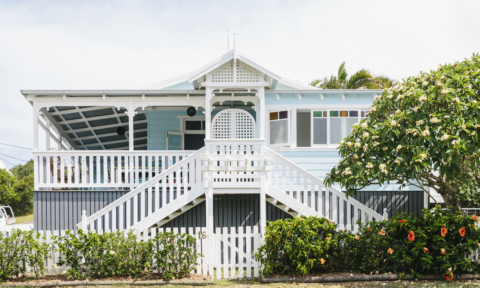 When you’re building or renovating a home that you plan on living in for 15 years or more, you need to ensure it will meet your needs now, as well as in the future when your family’s requirements change and you become older. This means that you need to think about how you ‘future proof’ your home to meet your needs today, as well as in 15-to-20 years. 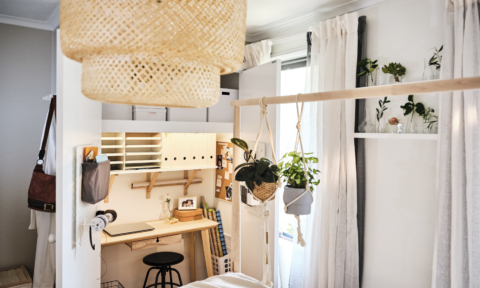 One of the best ways to do this is by creating as much flexibility as you can with your floorplan – ensuring that spaces and rooms are multi-functional. This gives you choices and options when adapting to changing family needs. A key way to do this is to ensure you have rooms with doors – they can be double sliding doors that retract back into the wall so they create a sense of space when open, but allow for privacy and noise reduction when closed. It also means you don’t need to heat or cool these rooms when not in use. For example, a room may act as a playroom when the children are younger, be a study for teenagers or a spare room when the kids leave home. 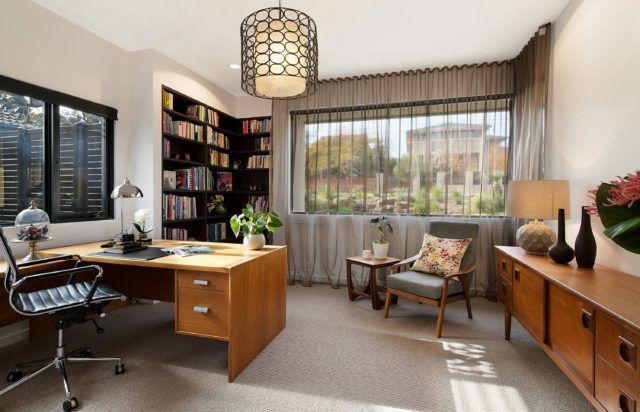 These rooms can even be dual functional, with a desk and sofa bed so it can be a study by day, and spare room by night. 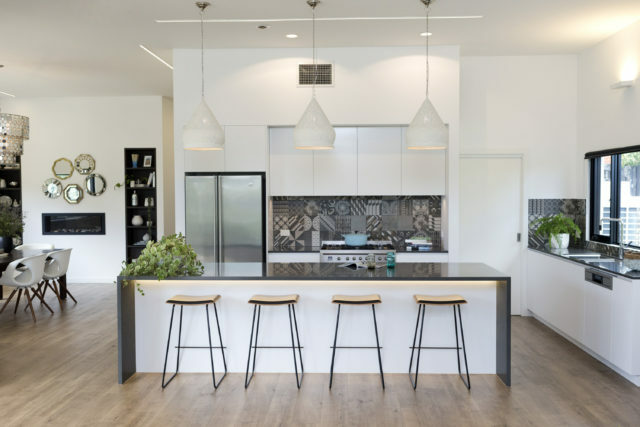 Even though large, open plan retreats are popular at the moment, they need to be considered carefully as they can’t be closed off, so they generally cannot be multi-functional. This means you may not be maximising on the potential on what that space could be used for. As they can’t be closed off, privacy also becomes an issue as they can generally never be used as an office or bedroom. They are also very expensive for heating and cooling due to the large open spaces. Another thing to consider is access to key areas of the home for when you are older and not as agile to climb stairs, if you have a double storey home. Consider placing the master bedroom downstairs as it allows access to the main living areas of the home. The objective is to have everything you need on one level, so you can stay in your home as long as possible. Finally, consider having multiple options with lighting, and not just rely on downlights. 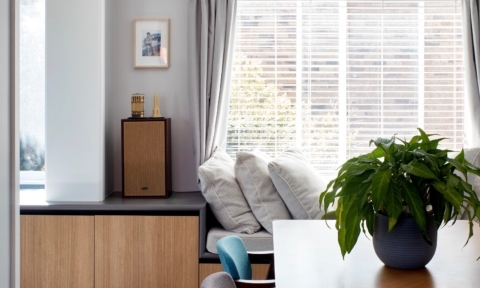 Ensure you have options that enable you to create ambient, mood and task lighting in rooms. This gives you flexibility in how the space can be used, but also the feeling you want to evoke in that space too. For example, a dining room with a decorative pendant over the table creates a lovely aesthetic, yet inevitably homework will probably be conducted at the dining table, so you need good task lighting for this purpose too. Future proofing is not just thinking about what you may need now, but being able to adapt to how your requirements may change later on. 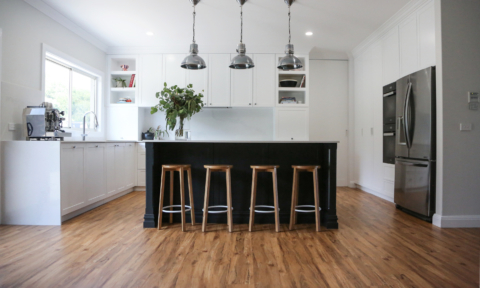 Engaging expert advice in this area will also help you ensure you’ve covered all the bases, and that your home will be able to adapt as you need it to. –Frances Cosway is Principal Designer at White Pebble Interiors and Author of ‘Your Forever Home’. Download the first three chapters for free.